Hi, my name is Anna and I live in sunny Cyprus. This diver is one of four pieces, but he is my favourite. I have used mixed media, including glass, stone, ceramics, etc. 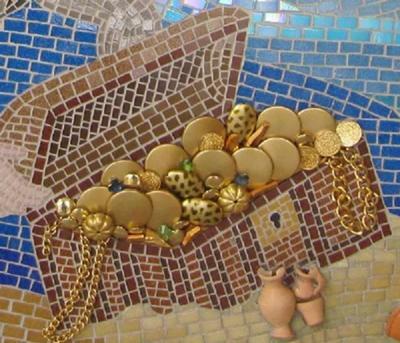 My first mosaic lesson was about four years ago when I attended a handicraft course. 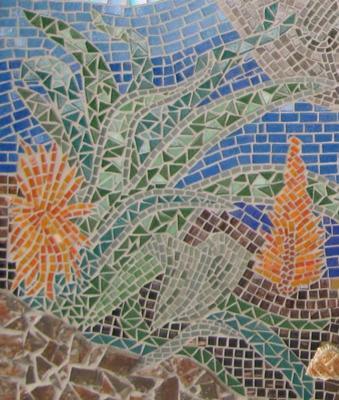 I took to mosaics immediately and at first began making things for myself. However, since then, friends have commissioned me to make several pieces, including wall friezes, tables, pots, name plaques, and others. 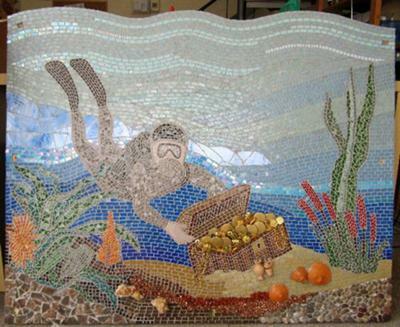 I still see making mosaics as a hobby and do not consider myself a professional. I just enjoy what I do!